NEW CONSTRUCTION - READY NOW : The ABACO is a wonderful family home with 4 br, 3.5 baths , Gathering room and a separate media room, with a fabulous pond view. The kitchen is facing the large family room , a large breakfast room is just off the kitchen. This home also offers a 3 Car Tandem Garage. Make an appointment to see this fantastic family home today! 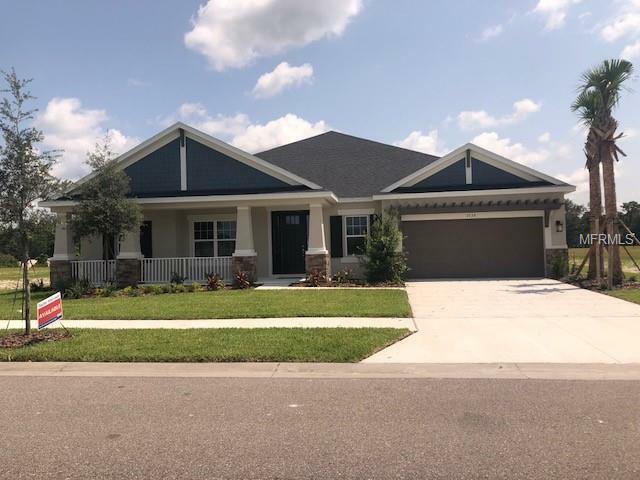 Taylor Morrison is now selling a collection of new homes in WaterGrass that offer Tampa area homebuyers an inspired living experience. Our homes are located in the Willow Point neighborhood within WaterGrass. At WaterGrass, the focus is on living well. Amenities include a luxurious pool with splash zone and lap lanes, a six-lane junior Olympic pool, large covered lanai, private clubhouse with state-of-the-art fitness center and separate play room, gathering room with TV, microwave and beverage fridge, catering kitchen, shaded playground with green space, tennis courts, a Â½ basketball court and more. WaterGrass is situated on 998 acres, 250 of which are preserved wetlands, woods, parks and playgrounds and has dedicated bike lanes. It is located within a short drive from I-75 which offers convenient access to local employment centers and medical facilities as well as upscale shopping and dining locations. The Shops at Wiregrass are only a short drive away and offer plenty of dining options as well as a wide selection of name brand shopping opportunities. Photos of model home. Not Actual Photo.